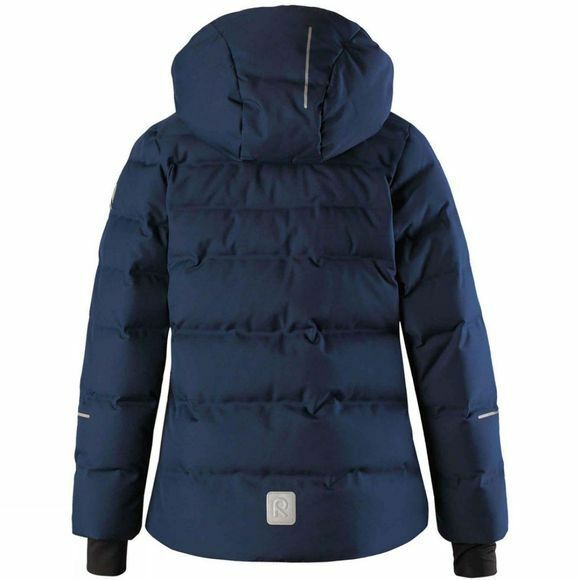 This kids' and juniors' down jackets comes with plenty of functionality! The technical Reimatec stretch material is water- and windproof, dirt repellent, breathable and elastic. The smooth lining and durable zipper eases the dressing up. The snow lock at waist and cuffs keeps cold and snow at bay. 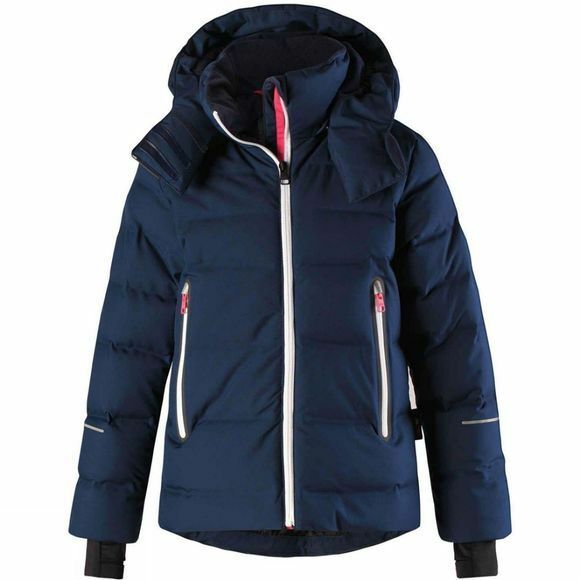 The detachable hood not only protects from chilly wind but is safe, too. Designed especially for winter sports and skiing, there is a special pocket for goggles, inner chest pocket, loops for head set cords and pocket for ReimaGO sensor. The girlish cut can be adjusted at hem for perfect fit. Light as a dream, super comfy and plenty of details – the lovelyest jacket of the season!